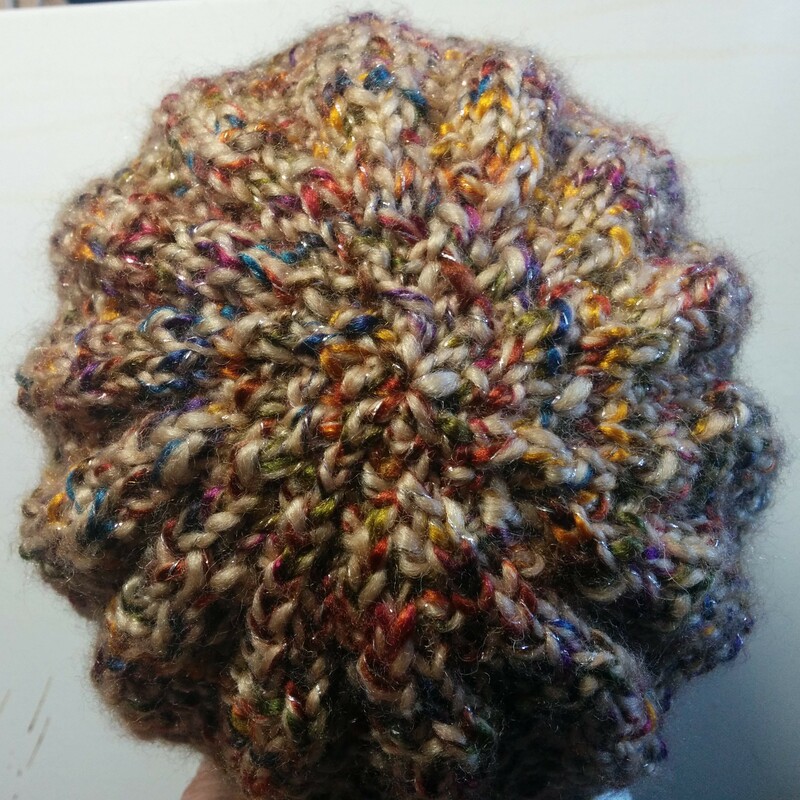 The yarn was pretty and shiny, so I took it home….and made a hat. I am having trouble getting the shine on the photographs. I have taken it out in the sun, shined lights on it, etc. All to no avail. Take my word for it, it is shiny. 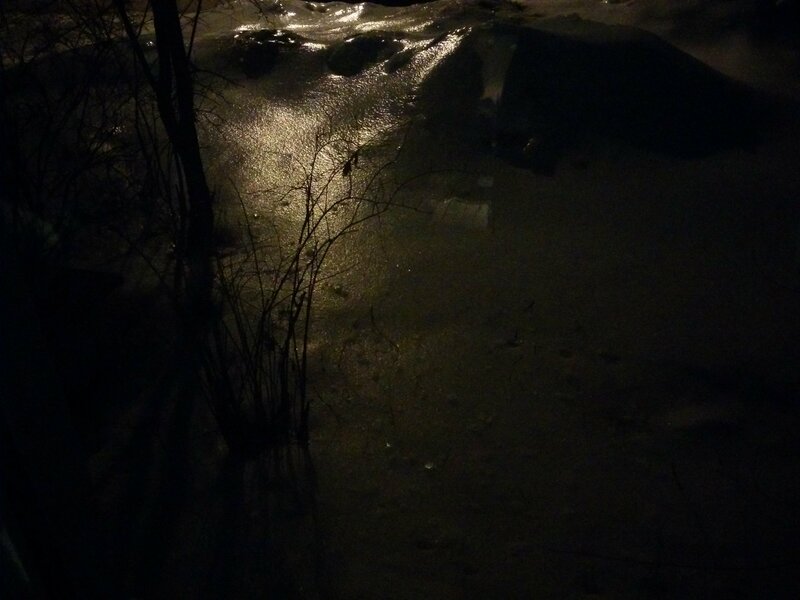 And speaking of shiny, this is a picture of our front yard last night. We had a small ice storm last week which turned things into a bit of a moonscape and the light from the street light across the road bounced off it. I thought it looked kind of cool. It is a one stitch wonder, Garter Stitch Zigzag, pg 28. 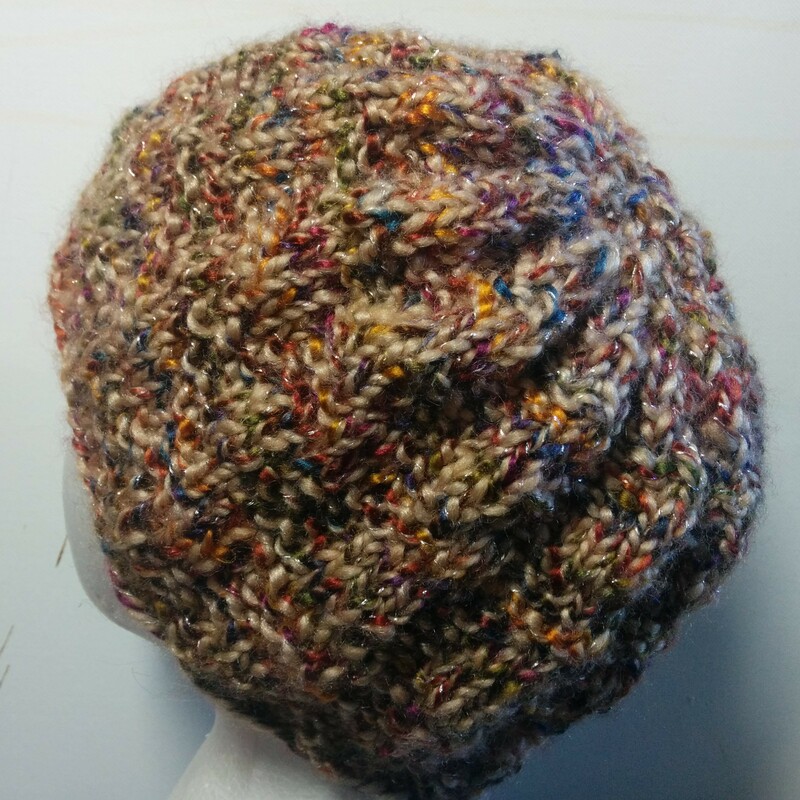 The pattern is somewhat lost in the busy yarn, but you can see a bit of the relief of the pattern. 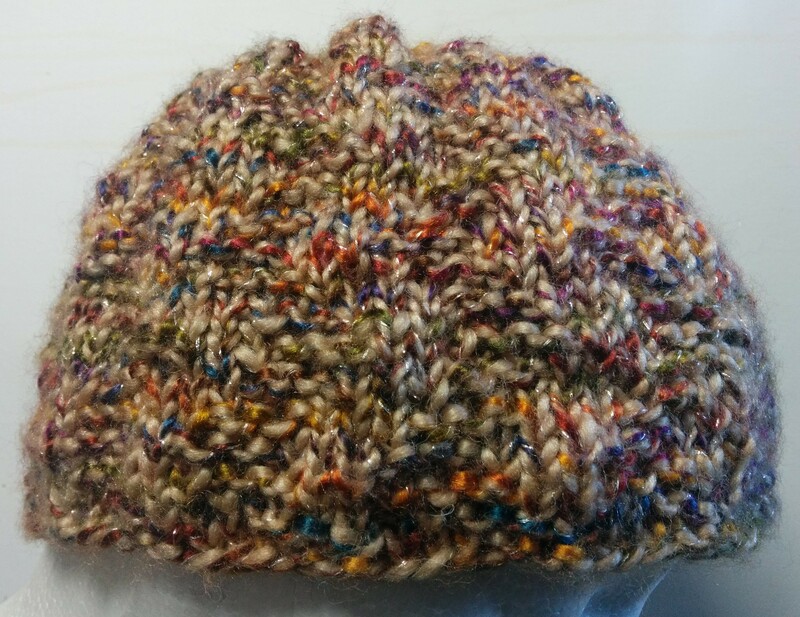 This entry was posted in Barbara Walker and tagged A Treasury of Knitting Patterns, Barbara Walker, knitted hat, Loops and Threads Sienna on February 7, 2016 by gillianknitter.